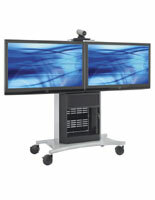 More Max Monitor Size Options Available! 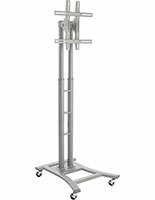 More Color & Number of Pocket Options Available! 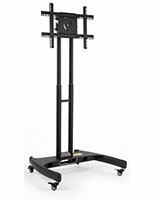 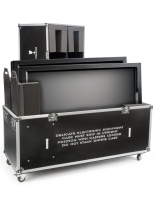 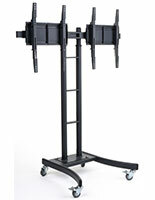 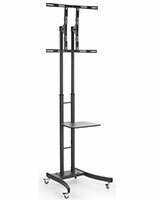 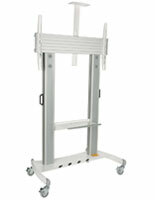 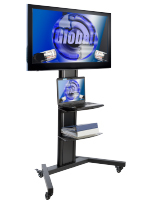 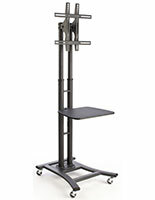 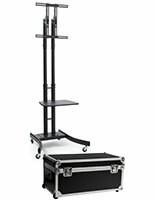 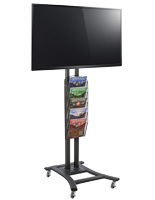 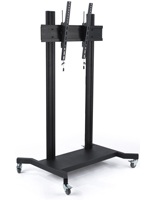 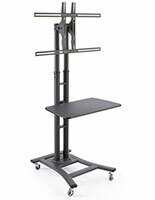 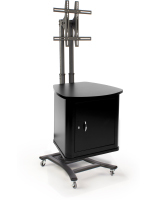 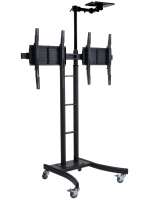 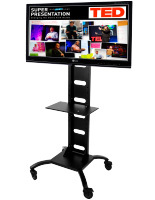 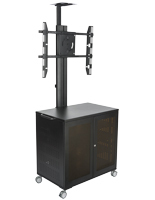 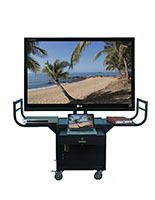 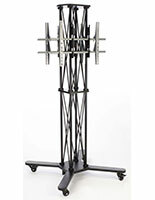 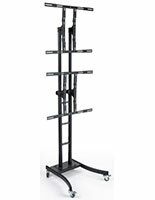 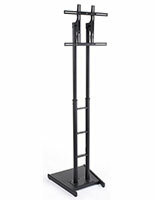 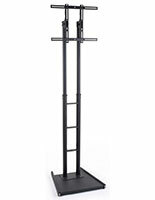 Looking for a flat screen TV rack that can be carted around an office, classroom, or event venue? 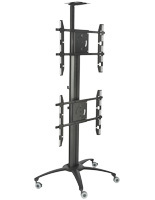 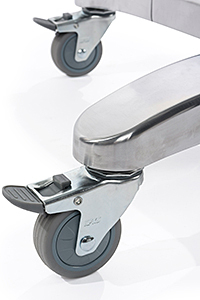 This rolling TV stand features caster wheels that make movement from one room to another easy. 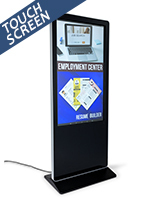 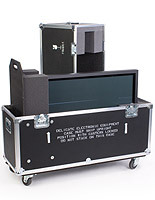 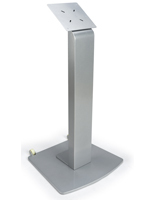 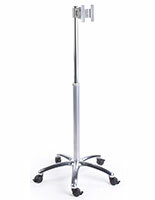 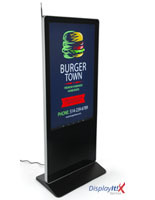 A mobile monitor fixture can be used in commercial environments to present company performance, upcoming events and other important information to employees. 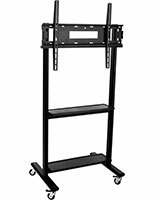 Rolling TV stands are ideal for businesses that want to bring their screen to different locations without having to purchase multiple televisions. 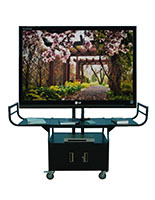 This is also true for educational institutions. 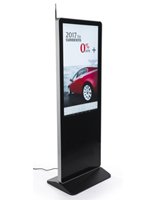 Schools are often under a tight budget and may require a limited number of displays, making these mobile mounts an excellent option. 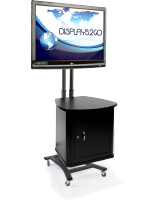 Each rolling TV stand is made of sturdy steel or aluminum, making them suitable for withstanding high traffic environments. 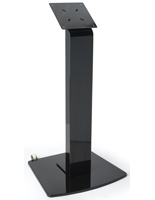 In addition, they feature an attractive black or silver finish that will blend with any décor. 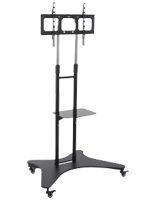 What additional features do these rolling TV stands come with? 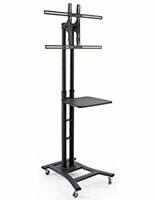 Some models feature shelving to carry electronics like laptops and tablets, allowing the screen's display source to be close by. 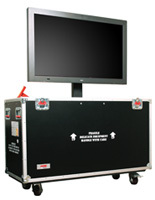 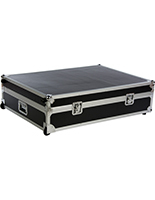 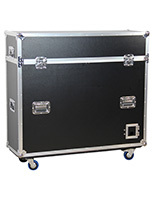 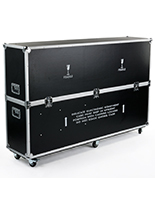 Audio/visual carts provide ample room for projectors as well as multiple levels of storage space. 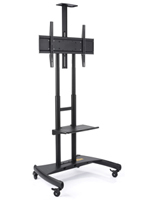 On some units, the shelves can be adjusted for extra convenience. 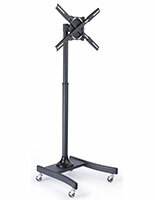 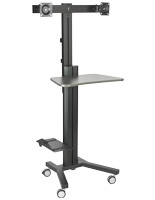 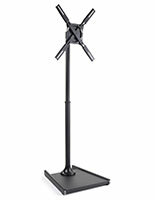 Monitor stands with camera trays are designed for video conferencing. 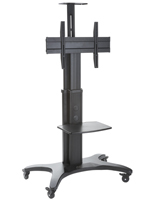 Height adjustability, along with tilt and rotating options, is another important feature, raising the TV to comfortable viewing levels and angles. 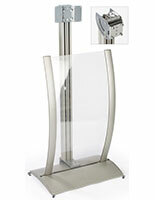 Some stands feature a rotating mounting bracket that allows them to switch between a portrait and landscape orientation. 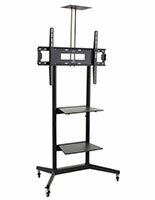 Each TV stand we sell is VESA Compliant, so you can rest assured your flat screen will fit our mounting brackets.